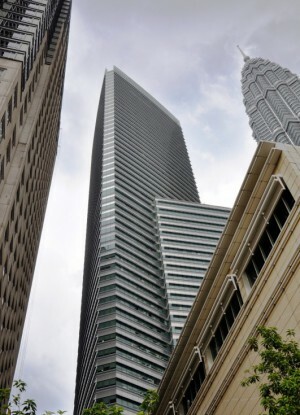 Sited on the southwest corner of the Kuala Lumpur City Centre Development (KLCC), Menara Carigali is directly adjacent to the Petronas Towers, designed by the same architect. This new office tower supports the whole complex without detracting from the renowned twin towers. 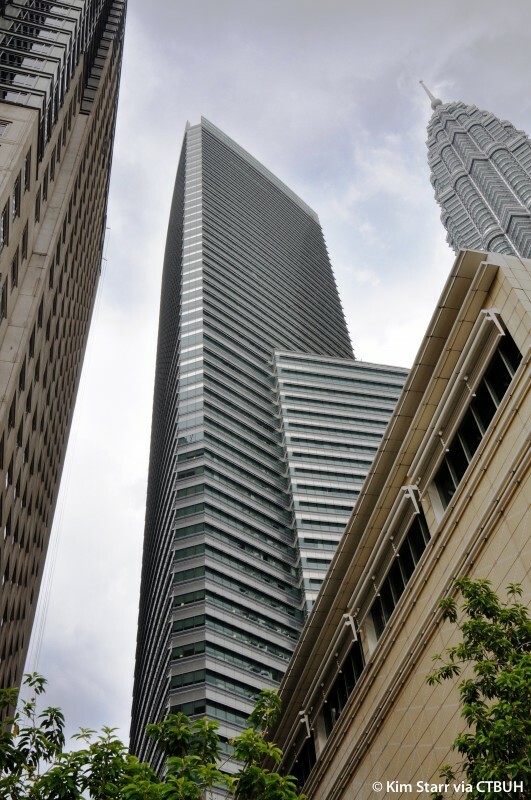 Like the Petronas Towers, whose form is generated by two interlocking squares, the new tower’s form is generated by two interlocking volumes: a square and a triangle. The design of the building envelope carefully responds to the tropical climate of Malaysia. To control heat gain and glare in the offices, the total area of vision glass is limited. The unitized curtain wall system is composed of alternating rows of tinted glass, back-painted glass, and aluminum-finished composite panels. Rounded anodized aluminum mullions add texture and perforated brise-soleil, also of anodized aluminum, provide shade. At the ground level, the storefront is more transparent, incorporating fritted and vision glass.